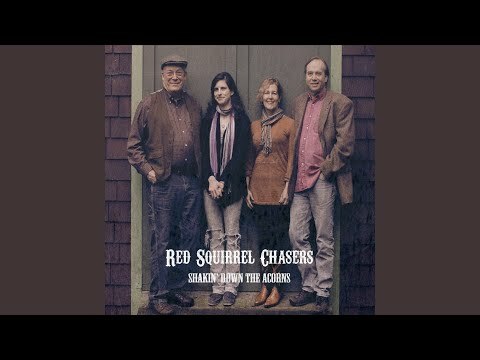 The Red Squirrel Chasers first formed about a decade ago to play dances. Now, they have combined their formidable talents into this new recording of 16 tunes and songs. The four members of the band are fiddler Stephanie Coleman, mandolinist Jim Collier, guitarist Jim Nelson, and bass player Dedo Norris. All four sing, though Collier and Nelson sing all the leads and most of the harmony. Their musical interests span the genres of old-time music and early bluegrass. Coleman is a powerful and nuanced fiddler, and the opening number, Shady Grove, My Darling demonstrates that along with the singing of Nelson and Collier. They got it from the Prairie Ramblers. Shakin' Down the Acorns is a Burl Hammons tune which Coleman presents very ably. Their version of Cold Rain and Snow combines Obray Ramsay, Dillard Chandler, and Peter Rowan, which might seem an odd combination but works well. Rowan is also the source for Moonshiner. Durang's Hornpipe comes from Kentucky fiddler Jake Phelps via Bruce Greene and Chirps Smith. Nelson found the lyrics to I'm Here to Get My Baby Out of Jail in a Karl and Harty songbook (the authors) and combined them with J. E. Mainer's recording of the song. Sugar in the Gourd and Jaybird Died with the Whooping Cough are both from Virginia fiddler John Ashby. No Letter in the Mail Today by Bill Carlisle draws on the Happy-Go-Lucky Boys, Bill Monroe, and the Stanley Brothers. Short Life of Trouble came from Earl Taylor and the Stony Mountain Boys which was on the very first bluegrass LP, Mountain Music Bluegrass Style, produced by Mike Seeger in 1959. Fiddlin' Arthur Smith is the source for Darling Honey, another wonderful fiddle tune. Run Mountain is from J. E. Mainer's Mountaineers, and She'll Be Coming Around the Mountain is from Wade Mainer. The late Garry Harrison wrote Old Bob. New River Train derives both from the Monroe Brothers and Tony and Gary Williamson. John Hartford took a fife tune and turned it into a fiddle tune named Squirrel Hunters, which Coleman learned from Chirps Smith.